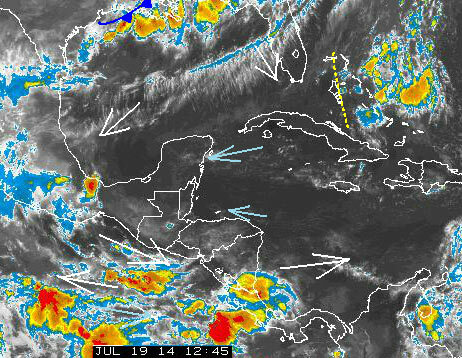 Belize NMS: Warm and mostly dry conditions dominate the forecast area. 24-hour forecast: Partly cloudy skies tonight and mostly sunny skies tomorrow. Only isolated showers or isolated thunderstorms are expected. Today: Winds: E-SE 10-20 kt. Seas: Moderate - rough. Waves: 4-7 ft. Isolated showers. Tomorrow: Winds: E-SE 10-20 kt. Seas: Moderate. Waves: 4-6 ft. Isolated showers. Marine Outlook: (Sunday night) winds: East 5-15kt. Seas: Choppy. Waves: 2-4 ft. A few showers and isolated thunderstorms mainly south. General Outlook: Similar weather will occur on Sunday, but a few showers and isolated thunderstorms affect the south Sunday night. 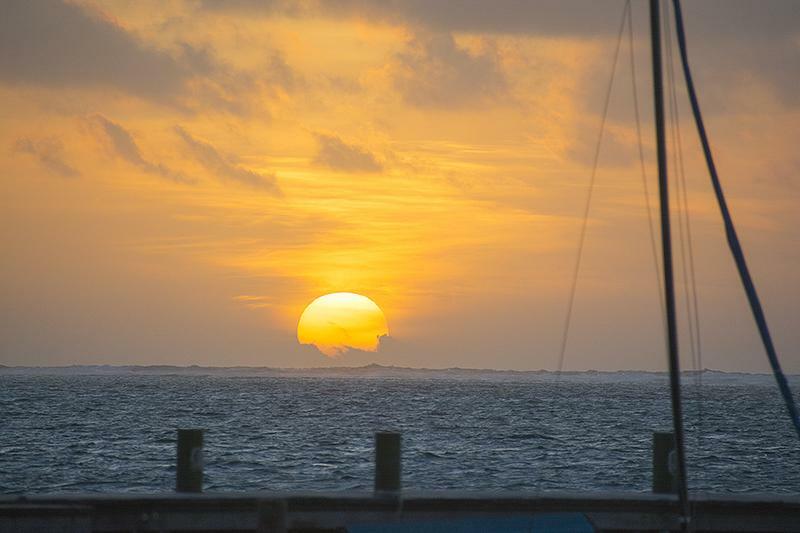 The sun came up over Ambergris Caye again this morning. It's windy and clear. We have 14 mph from the ESE. The expected high is 89. No rain anywhere out to over 400km on the Radar this morning. . .... Little or no cloud over Belmopan, but some cloud will build up later.